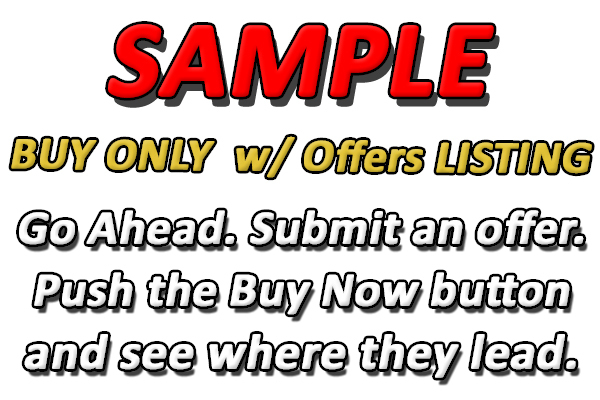 This is a Sample Buy Only w/ Offers Listing posted so new members can get a feel for how our buying process works and what to expect when pursuing these items of interest. Please feel free to press the buy now button, submit an offer, contact the seller, leave comments etc. Thank you for giving us a try!